Slides provide superior cell and tissue adhesion due to a permanent bio-adhesive material that electrostatically and chemically attracts tissues and tissue sections. 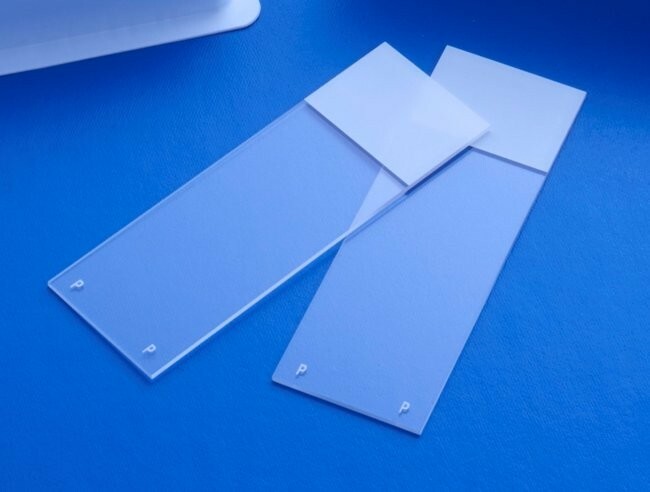 These slides are particularly effective in applications involving frozen and paraffin embedded sections, cytocentrifuge preparations, and cytology smears. Not affected by chemicals, enzyme predigestion, or heating.